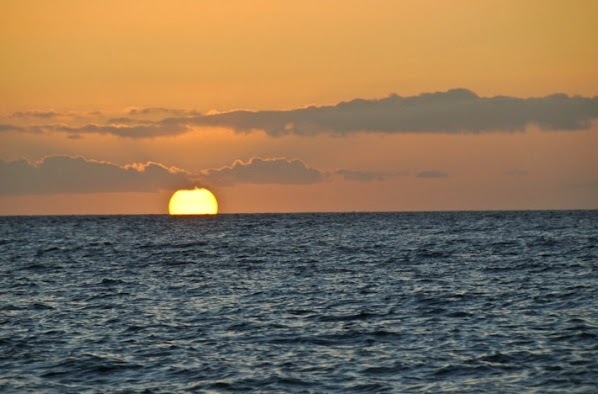 What's New: Green Flash, Real? 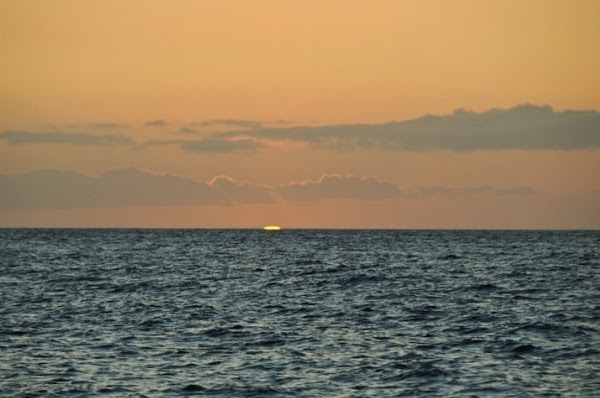 So, next time you are watching a clear sunset, one where there are no clouds between you and the sun setting over the horizon, look carefully for the Green Flash right before the last part of the sun sets. 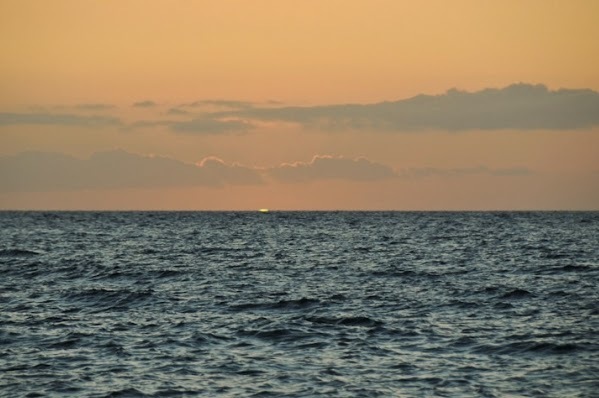 Here in Hawaii, since we are so close to the equator, the Green Flash can be seen for less than a second. My suggestion is to look away right before it happens so that your eyes are not getting burnt out watching the bright part of the sun. Then, look up right before it happens. Hope you get to see one soon! 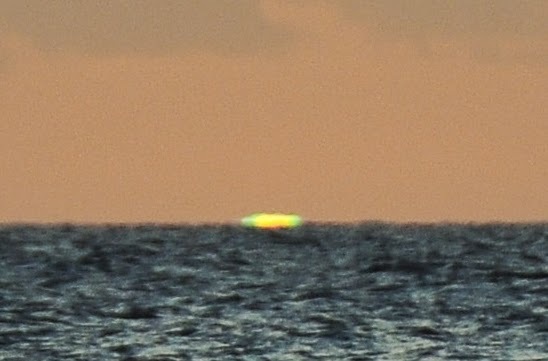 will set, this was a good day for the Green Flash. 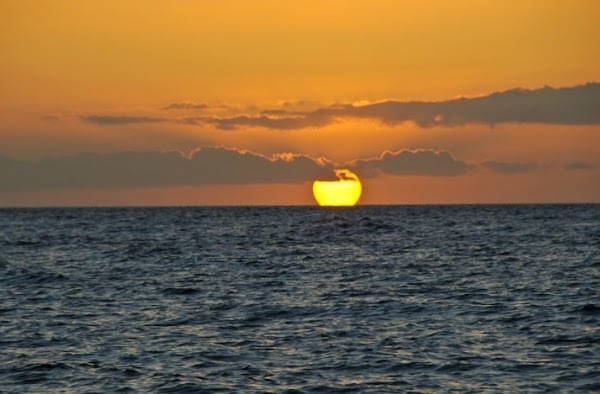 right when the last part of the sun sank below the horizon. This is an extreme close up of the photo above.